1.600 kr. / observatør 600 kr. For the fifth time we are honored to offer you the opportunity to indulge yourself to this unparalleled masterclass that many actors have described as nothing less than a life-changing experience. Patsy Rodenburg is considered one of Britain’s most highly-regarded voice teachers. She has worked regularly with renowned actors such as Judi Dench, Ian McKellen, Daniel Day-Lewis, Nicole Kidman, Orlando Bloom, Hugh Jackman, and Natalie Portman as well as many international known politicians and business people. Don’t miss this unique chance to work with the world’s best voice teacher. If you have been fortunate enough to have worked with her before - abroad or in Copenhagen, grab this opportunity to develop your voice-work even further and make your true talent blossom even more. Patsy Rodenburg will work on participants breathing creating a flexible and powerful breath system needed to support classical text. Participants will be shown how to free their voice so that it can freely express emotional and intellectual passion and will work on muscular articulation. During the workshop Patsy Rodenburg will work with participants on body centering and aligning to create a naturally placed and connected body. The workshop will also investigate and work on harnessing “Presence” through greater self-awareness. Shakespeare’s King Lear is the play that will be used during the workshop. You may choose to work in Danish or English. Patsy Rodenburg believes in working ensemble and will create a safe and creative place for participants to work within. Participants will also have an opportunity to work individually with Patsy Rodenburg throughout the workshop. Patsy Rodenburg, OBE, has been the Head of Voice at the prestigious Guildhall School of Music and Drama in London for 26 years and until recently at the Royal National Theatre. She trained in Voice Studies at the Central School of Speech and Drama and is recognized as one of the world’s leading voice teachers and coaches, and also as a renowned authority on Shakespeare. 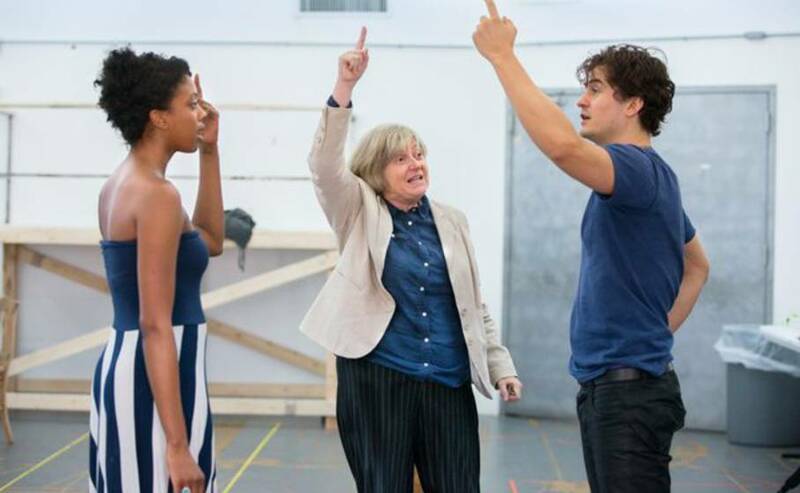 She was previously in residence with the Royal Shakespeare Company for 9 years and has worked with The Royal Court Theater, Donmar and Almeida Theater in London. She has also worked extensively with many of the great world theaters such as the Moscow Art Theatre and Comedie-Francaise. Patsy’s home in America is at the renowned Michael Howard Studios in New York City where she teaches workshops for the professional actor. Under the Michael Howard Studios banner, Patsy travels around the world teaching and speaking, from Los Angeles to Canada to Portugal to Australia. Patsy is also a best-selling author whose notable publications include Speaking Shakespeare, The Right to Speak, The Need For Words, The Actor Speaks, The Second Circle, and Power Presentation. A series of DVD’s which chronicle the first thirty years of Patsy’s work has just been released entitled Patsy Rodenburg Brings You: Shakespeare in the Present. You can participate as an actor on stage, or as an observer.